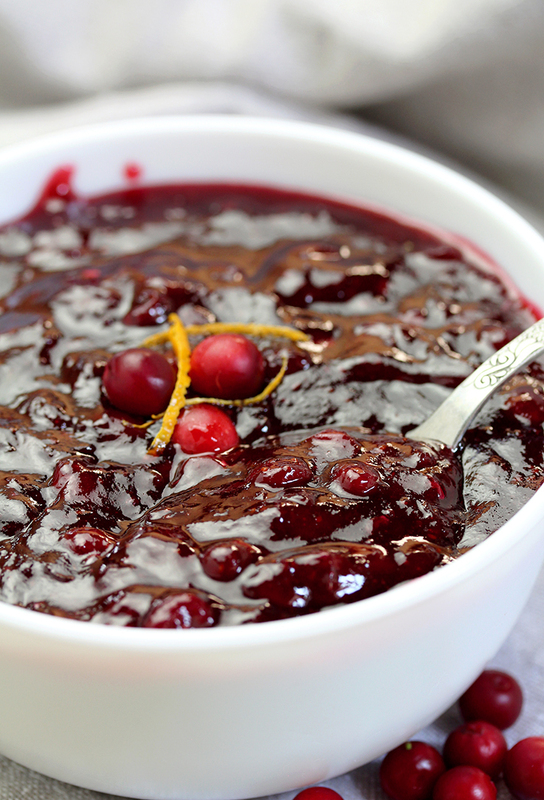 Here is the recipe for my special Cranberry Orange Sauce. This homemade sauce is so quick and easy to make. You‘ll love it with a piece of turkey for Thanksgiving. 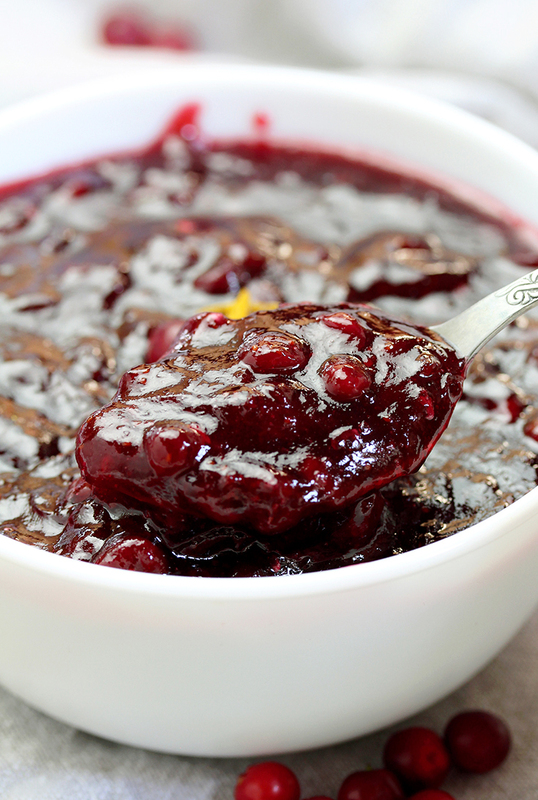 Can you even imagine a Thanksgiving without cranberry sauce? We prepare cranberry sauce every year. However this recipe is a bit different. Besides the orange juice, you will need pomegranate juice, too. It has a strong, intense taste, a combination of sweet and sour, cranberries and sugar, orange and pomegranate juice, cinnamon and nutmeg… It tastes great and its intensive aroma will fill every part of your home celebrating the holiday to come. Prepare it a day before serving and keep refrigerated, so you‘ll have less work to do on Thanksgiving Day. Save your energy and good mood for dinner. Your festively decorated table will be complete with Cranberry Orange Sauce. Of course, turkey is the most important. 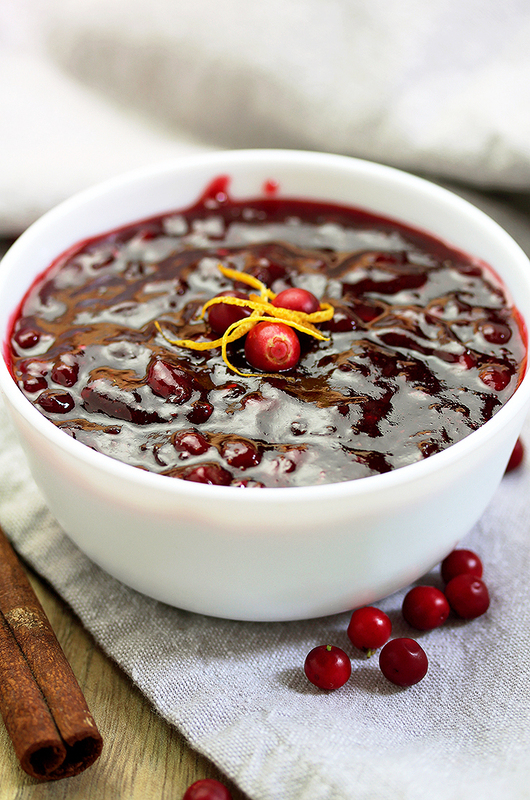 Cranberry Orange Sauce will be an ideal side dish. It is the best because it‘s homemade, made with love and with ingredients that you like. 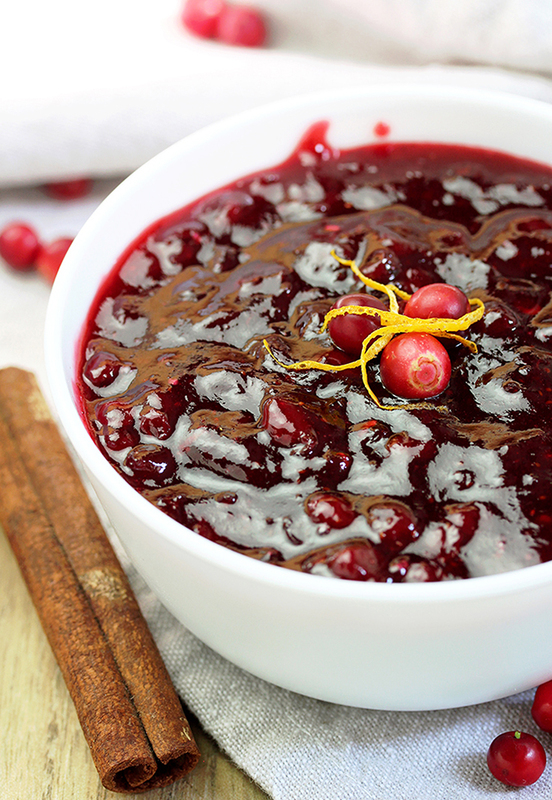 What do you need to prepare Cranberry Orange Sauce? 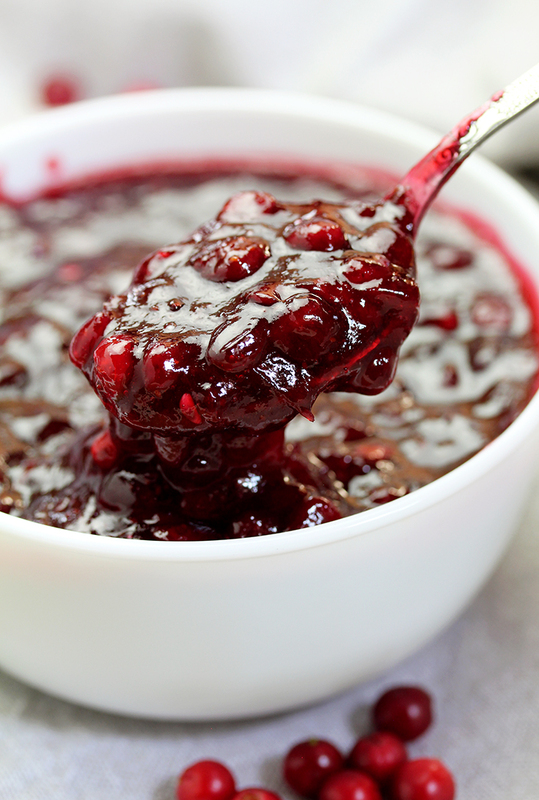 It might sound strange to put cornstarch in a sauce, but this Cranberry Sauce is so juice that some cornstarch is necessary to make it thicker. 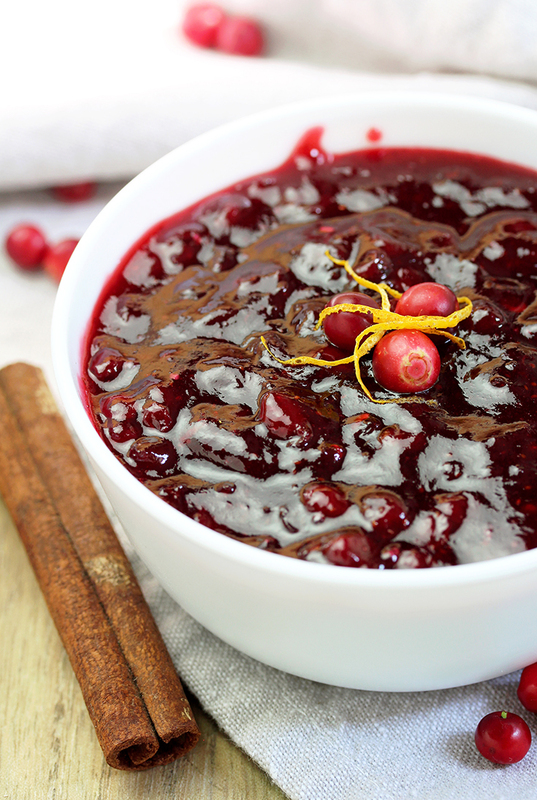 How to prepare Cranberry Orange Sauce? In a medium saucepan put orange juice, pomegranate juice and sugar. Warm up at medium temperature, until sugar is melted. Add cranberries, cinnamon stick, nutmeg and orange zest. Bring to boil, stirring from time to time, for about 20 minutes. Combine cornstarch with some juice from the saucepan, in a small dish. Mix until well combined, then pour into the saucepan and cook until it thickens, stirring constantly. Don‘t let it become too thick, because it will thicken some more while cooling. Remove from heat and let cool at a room temperature, then put in the fridge to cool completely. As you can see, it couldn‘t be easier. All you need to do is to get all the ingredients and put a smile on your face – it‘s all that you need to be a success in the kitchen. If you need some more ideas for Thanksgiving, you can find them on our blog… Pumpkin Lush, Cranberry Cheesecake Fluff Salad and Pumpkin Sugar Cookies with Cream Cheese Frosting. 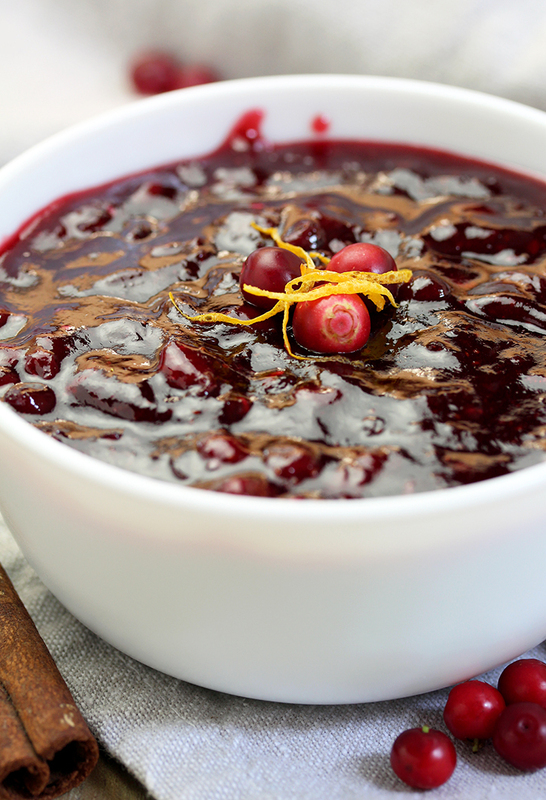 Enjoy your dinner with Cranberry Orange Sauce! Here is the recipe for my special Cranberry Orange Sauce. This homemade sauce is so quick and easy to make. You‘ll love it with a piece of turkey for Thanksgiving. Combine orange juice, pomegranate juice and sugar in a medium saucepan. Keep stirring at medium-high heat until sugar is melted. Add cranberries, cinnamon stick, nutmeg, orange zest. Bring to boil, reduce heat to medium and cook for about 20 minutes, stirring from time to time. Take 3-4 tablespoons of juice from the saucepan and combine with cornstarch, using a smaller dish. Mix until well combined, then pour into a saucepan and boil until it thickens, stirring constantly. Don‘t let it become too thick, because it will thicken some more while cooling. Remove from heat and let cool at a room temperature, then put in the fridge to cool completely.